One of the perks of the house we bought other than the size of the actual house was the size of the gardens. The house is a semi-detached with a big plot of land, there was talks of a buyer before us getting planning permission for another house on it as it is that big. However, the gardens do need a lot of work on them and I can't wait to get them just as me and Liam wish. We are at a point now where inside there aren't that many major jobs to do but we can start planning out the gardens especially with the nicer weather that we have been having. 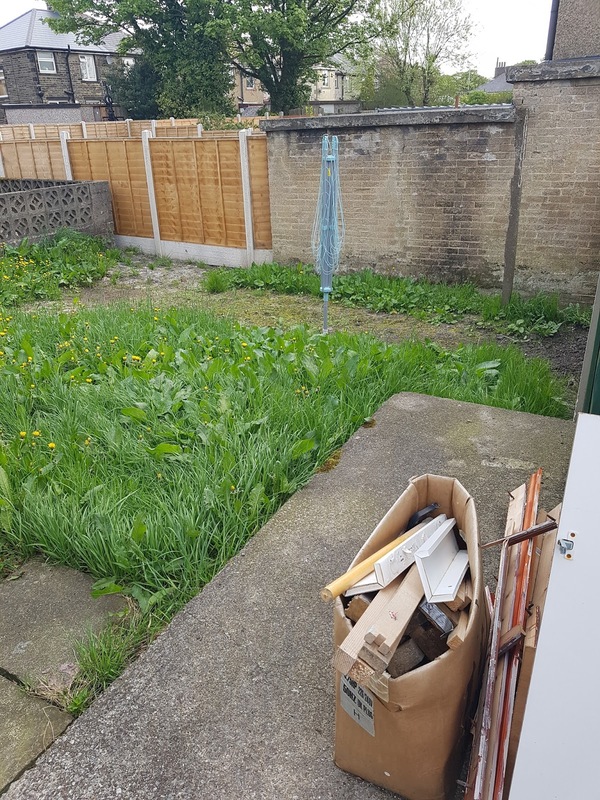 Luckily for us my dad's friend is a gardener so he is coming down to tidy it up in the mean time and getting it a little nicer for us. So here is how it is looking at the moment. 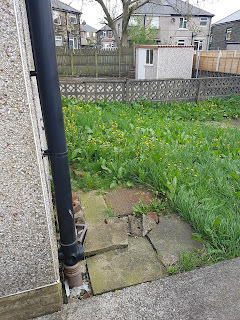 So to the left of the drive we have this little pathway to the front door surrounded by grass, which has gotten out of control. As it stands we don't use the front door but I would love to get this front bit tidied up. 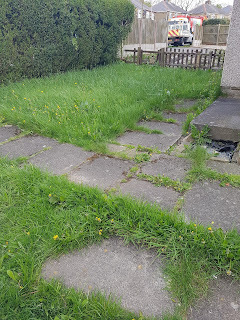 The hedges in the front of the house need cutting down (I want rid all together), and the grass needs cutting. Liam wants to concrete / pave this bit up to a certain point and then put some flowers under the windows in like a little flowerbed and to be quite honest I think it would look brilliant. 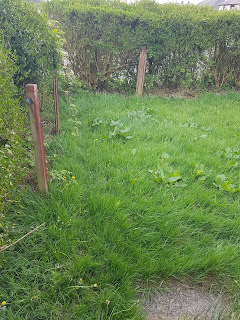 We also need to find out whose little fence it is separating the gardens as it really needs replacing. I forgot to put an actual image up of the driveway but that definitely needs re-concreting/paving to make it look a lot neater and the weeds need to go. 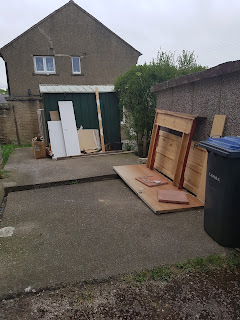 The garage is also getting ripped down so we can extend the driveway a little and make a nice seating area for the side garden that is fenced off from the drive. To the left of the garage we also have this huge space that we are going to level off and some will be the fenced off seating area with access to the side garden and the rest will be left for an extension of the drive, access to the back garden and access to the side door. 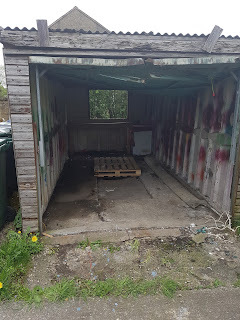 The green shed thing is hopefully going too and a fence will be put up between ours and the neighbours as at the moment it is just left open. 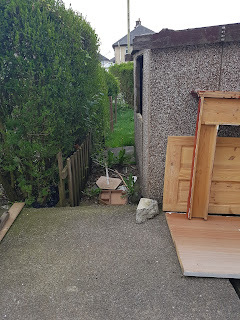 This is currently one of 2 ways to the side garden, with the garage going this will be opened up but this maybe where the gate ends up going leading to the seating area and side garden. We also need to see who the hedges belong to and I think these may end up being replaced by a fence if I can change Liam's mind as I hate them. That little old fence will also be taken out for good. Now we are onto my favourite part the side garden. 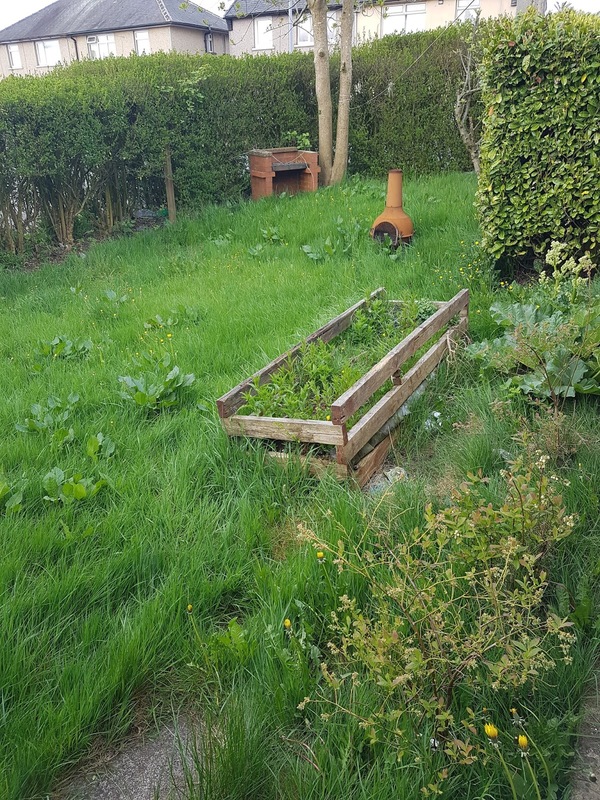 I want to get rid of the hedges, fence posts and the overgrown vegetable patch. I also want to get this levelled out. The hedges on the right are coming down and replaced with a fence and a small seating bit is getting added just by this and where the garage currently is. 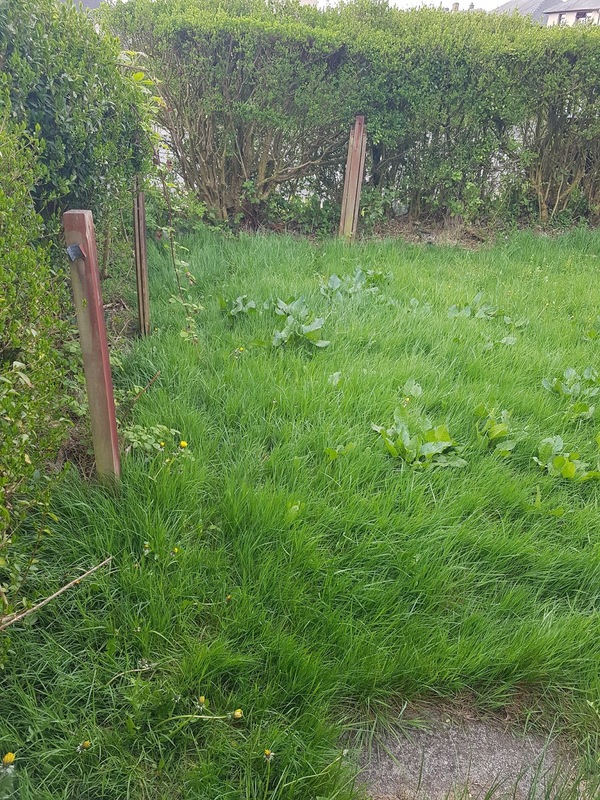 The rest of this garden will have a football net in and have plenty of space for me to train in as these images don't do its size justice. The BBQ that is currently in maybe staying but we have yet to decide on that. The back garden is definitely in need of a total makeover. There is currently a fairly big step down so we need to get that sorted. We have just put the rotary thing in for our clothes and the old clothes post needs removing. We then need to level it and decide on if we want turf/stones or decking. One thing I know for sure is Liam gave in and agreed with me that we can have a pond. So between me, Liam and my grandad we will be getting that done. We will probably also end up getting a nice furniture set for around here. I just can't wait to finally be able to sit out in the garden and enjoy the sun, I really can't wait to get into the side and work on my football again too. 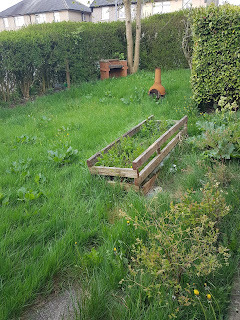 I think that this year while the weather is nice there may be quite a few BBQ's where we get everyone we can around and get them to help do bits in each garden just to give us both a hand. I will be posting updates on the garden's as little bits get done. Can you recommend anywhere good for garden furniture? Or do you have any tips that may help us? 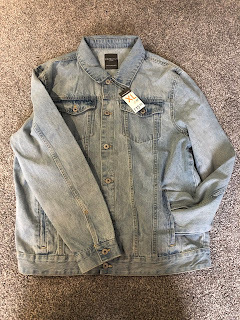 Let me know in the comments or over on my twitter.